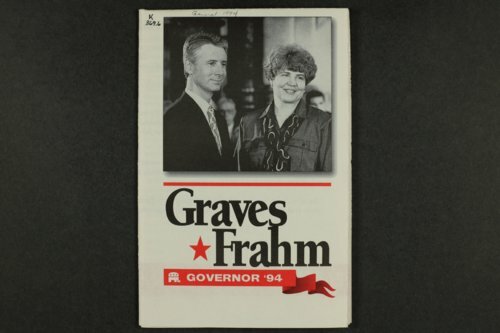 This political brochure promotes Governor Bill Graves and Sheila Frahm as the Republican candidates for Kansas Governor and Lt. Governor. The brochure features images, a brief biographical sketch, and quotes from leaders within the Republican Party endorsing the candidates' leadership skills. In the November general election Graves and Frahm defeated Democratic challenger Jim Slattery and his running mate Carol Sader.